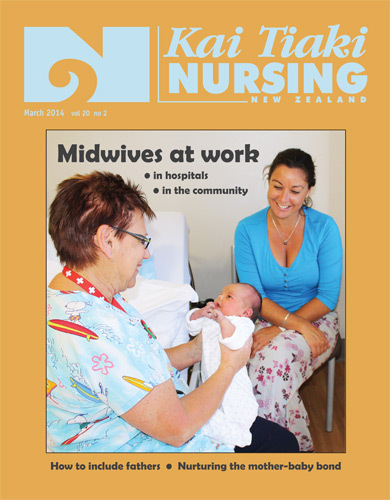 First published in Viewpoint, March 2014 Issue of the Kai Tiaki: Nursing New Zealand. Reference as: DeSouza, Ruth. (2014). Enhancing the role of fathers. Kai Tiaki: Nursing New Zealand, 20(2), 26-27 (download 3.2 MB pdf DeSouza Migrant Dads). I spent the first ten years of my life in Tanzania and Kenya where this Kiswahili proverb comes from. My father played a prominent part in childcare and the raising of three daughters. We migrated twice, first to Kenya and then to New Zealand. As migrants we only had our nuclear family to fall back on and my father took a central role in raising us while my mother studied. His philosophy was that that everything that needed to be done to keep the household going was a labour of love that we should all expect to contribute freely and lovingly to. This idea of pulling together and being self-sufficient reminds me of another Kiswahili phrase Harambee which means to pull together. Jomo Kenyatta was the first president of Kenya and this catch phrase that he popularized can also be seen on the Kenyan flag. Which brings me to the purpose of this article, which is to talk about pulling together around a family, especially one that has migrated and in particular pulling “in” fathers during the transition to parenthood. It is not possible to address the needs of women, infants and children in heterosexual families without addressing the needs of a child’s father (Buckelew, Pierrie, & Chabra, 2006). Pregnancy and childbirth are pivotal periods where individuals can grow as they adjust to the transition (Montigny & Lacharite, 2004).The perinatal period is a critical developmental touch point where health professionals can have a profound influence in assisting fathers and mothers in their transition. Often interventions focus on the mother and serve to increase her developing expertise, which subsequently tends to increase parental conflict (Montigny & Lacharite, 2004). Health professionals can have a significant role in fostering interactions between both partners (Montigny & Lacharite, 2004). Most immigration studies focus on the negative consequences of immigration for families and for parenting. For example, immigration is perceived predominantly in the literature as a source of stress and a risk factor for families and children. Engaging women in groups or developing couples’ groups that would also serve the needs of new fathers could educate participants and provide support and information. Supporting the whole migrant family is critical, particularly when often a key motivation for migration is to provide a better life for children (DeSouza 2005; Roer-Strier et al 2005). Families can provide a buffer and the strength and safety to cope with what might seem an unfamiliar, and at times hostile, receiving community (Roer-Strier et al 2005). Parenthood, combined with recent migration, can lead to a process of extended change and adaptation in all domains of a parent’s life. These changes can include adjusting to a new home, social environment, language, culture, place of work and profession. Often, economic, social and familial support systems are lost or changed. Under such circumstances, parents’ physical and psychological health, self-image, ability to withstand stress and anxiety levels may all be challenged (Roer-Strier, Strier, Este, Shimoni, & Clark, 2005). For new migrant families, support needs are critically important and in the absence of usual support networks, partners and husbands play an important role in providing care and support that would normally be received from mothers, family and peers. Systems need to be ‘father-friendly’ as husbands are the key support for migrant women who have often left behind friends and family. So, what can be done to reorient services so that they are more father-friendly? Fatherhood is changing, influenced by diverse family practices and formations, which challenge the male breadwinner-female home carer division of labour. The shift from being a breadwinner and authority figure to being involved in all aspects of the perinatal period has become an expectation in the Western world (Deave & Johnson, 2008). Fathers play a crucial role in the couple’s relationship and the father-infant relationship and they contribute to individual and family well-being (Goodman, 2005). where men are required to provide practical and emotional support to mothers and children However, Barclay and Lupton (1999) suggest that active societal support and preparation are not readily available to men despite the expectation that men will fill the gaps that were previously filled by neighbours and women relatives. Health and social services and nurses who work in them often fail to engage fathers successfully and can even pose a barrier to their engagement (Williams, Hewison, Wildman, & Roskell, 2013). The ‘new involved father’ benchmark (Lupton & Barclay, 1997a) requires that fathers participate in antenatal classes, labour and delivery. In the absence of social networks, family and peers groups, partners and health professionals often need to fill in the gaps. Fathers are key persons who strongly influence the perinatal decisions women make. Migration often requires changed roles for fathers, especially if they have not grown up with expectations about their roles as active participants. Fatherhood can be difficult and fathers need support and guidance to prepare them for the transition and to develop competence Men can sometimes lack appropriate models and emotional support for fathering, requiring that they be encouraged to develop support for their parenting beyond their partner (Goodman, 2005). Each stage of the paternal lifecycle including pregnancy, labour and delivery, postpartum period and parenthood poses challenges for new parents to be. Labour and delivery are particularly difficult times for fathers who can feel coerced, ill-prepared, ineffective, and/or psychologically excluded from the event (Bartlett, 2004). The postpartum period, particularly the first year after childbirth, is a time of emotional upheaval for first-time fathers, who have to adapt to the presence of an infant who is a priority. Research on first-time fathers’ prenatal expectations of the experience compared with perceptions after the birth found that they expected to be treated as part of a labouring couple, but were often relegated to a supporting role. Fathers were confident of their ability to support their wives, but labour was more work and scary than they had anticipated. The focus also changed postpartum from their wives to their babies. The study found that fathers need to be better included and supported in their role as coach and friend (Chandler & Field, 1997). The first year of parenting is often experienced as overwhelming (Nyström & Öhrling, 2004). Anticipatory guidance is critically important for expectant fathers, as many men (like women) hold unrealistic expectations about parenthood that can hinder their adjustment to the realities of fatherhood (Goodman, 2005). Supporting fathers prenatally can improve their transition to fatherhood (Buist, Morse, & Durkin, 2003). Interventions that can help prepare men for the changes and stresses of becoming a parent include not only ensuring that men are included in childbirth preparation classes but that the content relates to the concerns of fathers and which promotes paternal involvement in all aspects of infant care. Fathers should be given opportunities to develop skills and confidence in infant care, both before and after their infant’s birth. Fathers- only classes could help men develop competence and confidence away from their partner whom they could perceive as being more capable. Obstacles to greater involvement in fathering include work, parental modelling after one’s own father, maternal gate-keeping from wives or female partners, co-constructed processes of “doing gender” by both mothers and fathers, gender identities and ideologies and discourses of fatherhood (Doucet, (2005). An infant’s father has a pivotal role in maternal initiation and continuation of breastfeeding (Littman, Medendorp, & Goldfarb, 1994), hence breastfeeding education and promotion should be directed to expectant fathers as well as mothers. Littman, Medendorp, and Goldfarb suggest that breastfeeding education should include appropriate anticipatory guidance related to managing feeling excluded when mothers are breastfeeding. Ways for new fathers to experience closeness with their infants can be suggested, and nurses can encourage the development of men’s nurturing qualities while supporting the importance of their particular role as father. Skill acquisition in infant care is a crucial step in facilitating father-infant bonding. 8. Fathers are excluded in research. Maternal and infant health has enjoyed extensive attention from researchers, medical practitioners, and policymakers. However, little is known about the physical and psychological health of fathers, but with gender roles changing and an increasing emphasis on paternal involvement in all aspects of parenting, adjustments are required for both men and women (Goodman, 2004). Research on fatherhood lags behind that on maternal health, a disparity that is a significant gap in family research and theory. This disparity is a serious omission in knowledge and scholarship because becoming a father is a major developmental milestone (Bartlett, 2004). In order to provide optimal support to new fathers it is important to understand fathers’ experiences from the perspectives of fathers themselves (Goodman, 2005). The transition to fatherhood is significant with many men feeling overwhelmed or excluded. However, services that provide prior guidance and are male- friendly can increase involvement and participation. Little is known about how this transition is managed especially the needs of migrant fathers and the mediating role of social and psychological factors. However the participation of men is linked with positive outcomes for the whole family. By supporting father- friendly services, families can benefit especially families separated from support systems like migrant families. Nurses can play a pivotal role in pulling fathers ‘in’ and helping families pull together in the transition to fatherhood so that all families can thrive. Bandura, A, Barbaranelli, C, Caprara, G V, & Pastorelli, C. (1996). Multifaceted impact of self‐efficacy beliefs on academic functioning. Child Development, 67(3), 1206-1222. Barclay, Lesley, & Lupton, Deborah. (1999). The experiences of new fatherhood: a socio-cultural analysis. Journal of Advanced Nursing, 29(4 %R doi:10.1046/j.1365-2648.1999.00978.x), 1013-1020. Bartlett, E.E. (2004). The effects of fatherhood on the health of men: A review of the literature. Journal of Men’s Health and Gender, 1(2-3), 159-169. Buckelew, Sara M. , Pierrie, Herb , & Chabra, Anand (2006). What Fathers need: A countywide assessment of the needs of fathers of young children. Maternal and Child Health Journal,, 10(3). Buist, A, Morse, C A, & Durkin, S. (2003). Men’s adjustment to fatherhood: Implications for obstetric health care. Journal of Obstetric, Gynecologic, & Neonatal Nursing, 32(2), 172-180. Chandler, S., & Field, P.A. (1997). Becoming a father: First-time fathers’ experience of labor and delivery. Journal of Nurse-Midwifery, 42(1), 17-24. DeSouza, R. (2006). New spaces and possibilities: The adjustment to parenthood for new migrant mothers. Wellington: Families Commission. Doucet, A. (2005). It’s almost like I have a job, but I don’t get paid’: Fathers at home reconfiguring work, care, and community. Fathering: A Journal of Theory, Research, and Practice about Men as Fathers, 2(3), 277-303. Goodman, J.H. (2004). Paternal postpartum depression, its relationship to maternal postpartum depression, and implications for family health. Journal of Advanced Nursing, 45(1), 26-35. Goodman, J.H. (2005). Becoming an involved father of an infant. JOGNN – Journal of Obstetric, Gynecologic, and Neonatal Nursing, 34(2), 190-200. Littman, H., Medendorp, S.V. , & Goldfarb, J. . (1994). The decision to breastfeed: The importance of father’s approval. Clin Pediatr (Phila), 33(4), 214-219. Montigny, Francine de , & Lacharite, Carl (2004). Fathers’ perceptions of the immediate postpartal period. Journal of Obstetric, Gynecologic, & Neonatal Nursing, 33(3), 328-339. Roer-Strier, Dorit, Strier, Roni, Este, David, Shimoni, Rena, & Clark, Dawne. (2005). Fatherhood and immigration: challenging the deficit theory. Child & Family Social Work, 10(4 %R doi:10.1111/j.1365-2206.2005.00374.x), 315-329. Williams, Robert, Hewison, Alistair, Wildman, Stuart, & Roskell, Carolyn. (2013). Changing Fatherhood: An Exploratory Qualitative Study with African and African Caribbean Men in England. Children & Society, 27(2), 92-103.